Hard cover book by author Ed Gray. Book size is 10" x 8" with 128 pages. 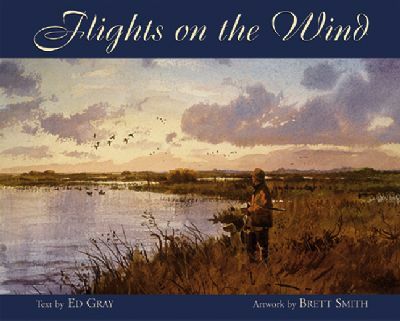 No one captures the words of waterfowling better than Ed Gray, and the best he has ever written comprise the twelve masterful stories in this handsomely produced book. Illustrated with specially commissioned paintings by award-winning artist, Brett Smith, Flights on the Wind is a captivating and visually magnificent portrayal of North American waterfowl hunting. Ed Gray is a noted author and editor of many books, including Flashes in the River and Shadows on the Flats. He founded Gray's Sporting Journal in 1975.